Barrie Colts – The Colts allowed 291 goals against last season, the second highest total in the OHL. This year, they’ve allowed a league low 50. Overager Leo Lazarev has been great in net since being acquired by Ottawa before the start of the season but the key for the Colts, keeping the shots against down. The Colts have only given up more than 30 shots in eight of their 18 games so far this season. Kaden Fulcher – Fulcher picked up his league leading third shutout of the season Wednesday, he’s allowed two or fewer goals in nine of his 17 starts this season. Hamilton has needed that kind of lock down goaltending, they are currently on a five game winning streak and tied for first in the Eastern Conference, despite scoring a league low 57 goals through 20 games. Ryan Merkley – The first overall pick in the 2016 OHL draft showed his offensive potential as a rookie last year, and he’s continued that into his sophomore season. He was held off the score sheet for five straight games before embarking on his current eight game point streak, scoring four goals and 15 points. Flint Firebirds – Flint proved Wednesday that no two points are guaranteed in junior hockey as they dealt first place Sarnia just their fourth regulation loss of the season. The win ended a nine game losing skid for the birds, who allowed 57 goals against during that stretch. That followed a good start for the club, who won their first three games of the season. Saginaw turning it around – Thinks were looking very bleak for the league’s youngest team, but it looks like they’ve turned the corner in the nick of time. Saginaw has won four of six since a rough 11-3 loss to Ottawa. Enough can’t be said about the Spirit adding a guy like Mason Kohn, who’s played 254 games in the OHL. Also, rookie Blade Jenkins has heated up as of late, scoring six goals and nine points in his last six games. Best In The West – Move over Midwest, the early season powerhouses are from the West Division this year. Sault Ste. 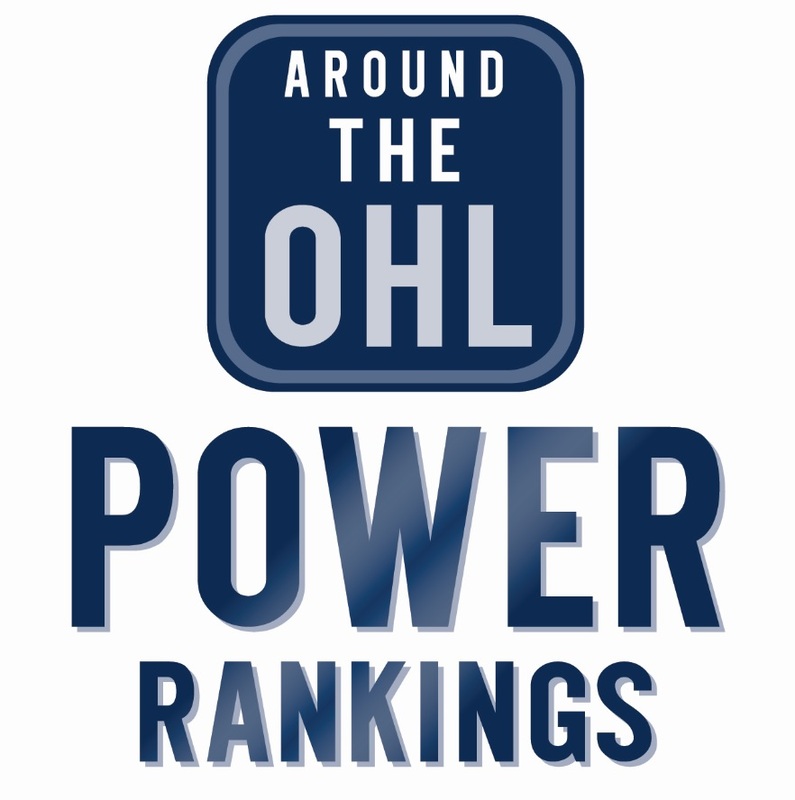 Marie and Sarnia have been a tier above the rest of the OHL. The Hounds have won six straight, the second longest winning streak this season behind Sarnia’s 14 game stretch. Look for these two teams jostle for position atop the Western Conference throughout the season. For Petes Sake – The Peterborough Petes have been a very curious team this year, only Sarnia and Sault Ste. Marie have scored more goals, but only Flint and Subury have allowed more against. Dylan Wells has been more cold than hot as of late, allowing three or more goals in nine straight starts. Before the season, he was pegged as one of the leagues top netminders but he hasn’t been able to show that consistency this season. He has been able to bounce back in the past, and the Petes will need him to do so this year if they hope to be the contenders many though they would be. Jordan Kyrou – Kyrou has been in a league of his own this season. He’s always shown he can be an elite playmaker, but he’s also found a lethal scoring touch in his fourth year that makes him a threat every time he steps on the ice. He leads the league by seven points, and is 12 ahead of teammate Adam Ruzicka, who sits third in league scoring. He already has two hat tricks this season to go along with a pair of two goal games. Look out for the fish – Similar the last season, the Steelheads started out slow and have begun to pick up steam in November. They’ve only lost one game in regulation during their last ten contests. Owen Tippett and captain Michael McLeod have both returned from the NHL and could be dominant for the fish this season. I expected them to be a beast in the East this season, and after some early season struggles it looks like that could be the case. Mississaugas PP – They have been absolutely lethal with the man advantage lately, and it’s only going to get better with Tippett and McLeod coming back. At 30.2%, their powerplay is first in the league and they’ve scored 14 PP goals in their last 10 games. Photos by Terry Wilson and Aaron Bell, OHL Images. Tags: Aaron Luchuk, Jordan Kyrou, Kaden fulcher, Mississauga Steelheads, Oshawa Generals, Peterborough Petes. Bookmark the permalink.